When Salih walks into a room, his energy is infectious. He puts passion and emotion into every design, and aims to create products that people truly love. The design studio is Salih’s playground, and his pencil is his favourite toy. He spent 18 years in Austria, and speaks perfect German. So when Salih gets a design just right, it’s common to hear him loudly expressing his joy in German. We don’t always understand what he’s saying, but we’re clear on how he feels. Salih is the reason we use natural materials in all our Gazzda products. He shares his passion for wood with all of us, and has helped us appreciate that magical moment when we touch a finely crafted, smooth piece of polished wood. But Salih doesn’t just share his passion with us. He’s been teaching industrial design to promising youngsters since 2004. 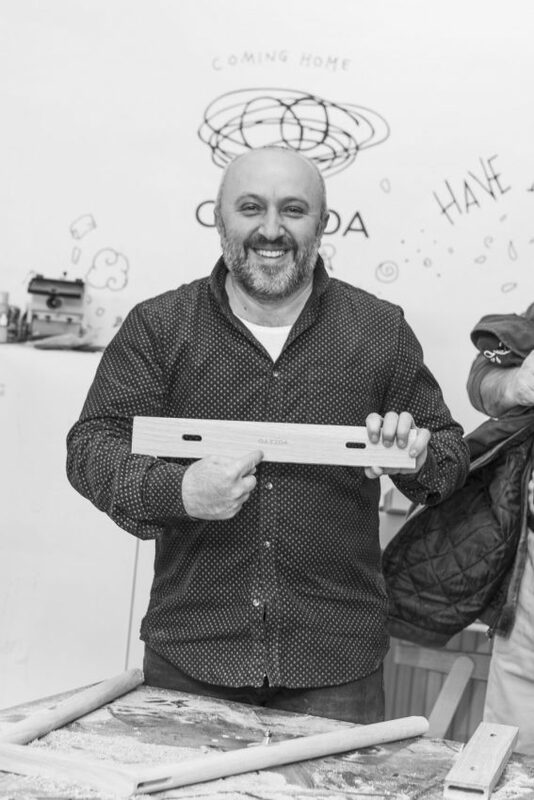 Among his students, Salih’s near-obsession with wood is so well known, they affectionately call him ‘Geppetto’. Someday, one of Salih’s creations will likely turn into a real boy. When he’s not creating beautiful designs in our prototype studio, you’re most likely to find Salih spending time with his family, or drinking his beloved Bosnian coffee in a café in downtown Sarajevo. Just like Salih and his creations, the coffee is all-natural.